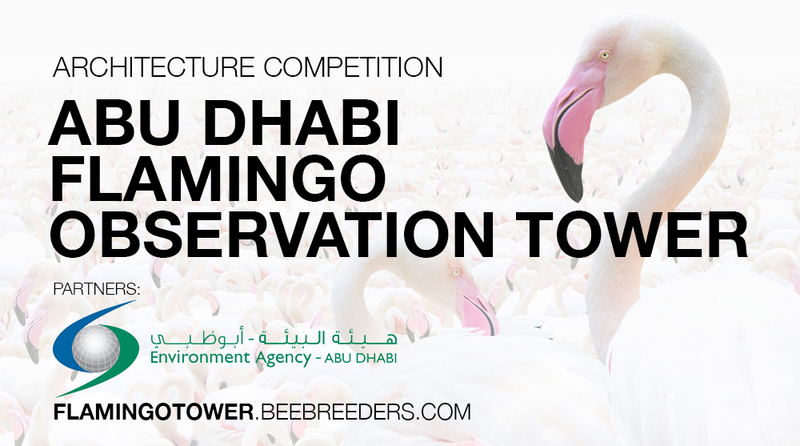 All information presented below (text, banners, video) may be used freely, without Bee Breeders' written permission, by any media, but only for purposes relating to the Abu Dhabi Flamingo Observation Tower competition. 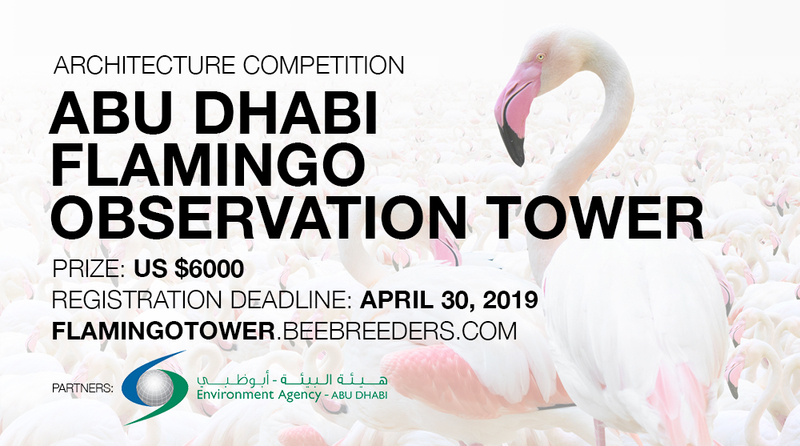 In collaboration with Environment Agency - Abu Dhabi (EAD), the Abu Dhabi Flamingo Observation Tower competition is calling for submissions for designs for an observation tower in the Al Wathba Wetland Reserve in Abu Dhabi. 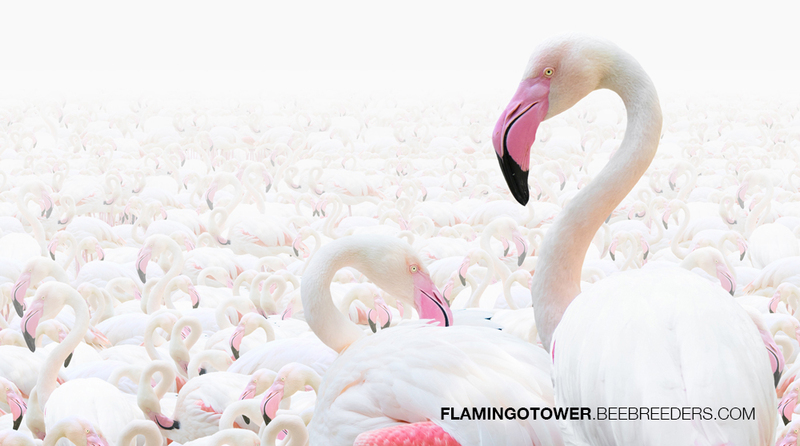 The man-made reserve in the UAE capital is home to a spectacular flock of some 4,000 migratory flamingos during the winter months. Participants are being asked to create designs for an observation tower and accompanying boardwalk so that visitors can fully immerse themselves in the stunning wildlife of the reserve. Projects will need to be mindful of the unique environment, as well as have the potential to become an iconic landmark in the region.